So far 2018's TV line-up has been uninspiring which hasn't helped me in the revival of this weekly column. However, I've persevered to find a mix of new shows and continuing programming to present what I hope is an entertaining look at the last seven days on British TV. Kicking off with a drama that has become one of the continuing highlights of BBC One's winter schedule in the form of Call the Midwife. Now in its seventh series, Heidi Thomas' 1960's-set drama has gone from strength to strength over the years as it explores issues that women faced during that time. Thomas's research of the history of London's East End during that time is evident in watching Call the Midwife which is exemplified in this episode by a storyline which involved Doctor Turner (Stephen McGann) tending to a woman with terminal cancer whose home was about to be demolished as part of the continued slum clearances in London. Nurse Crane (Linda Bassett), who is attending to Ruth (Julie Legrand) again butts heads with the prickly Sgt Woolf (Trevor Cooper) after they declared a truce at the end of the Christmas episode. I felt that this heartbreaking story perfectly exemplified everything great about Call the Midwife as Ruth was allowed to die in the home she'd made for herself surrounded by her loved ones. 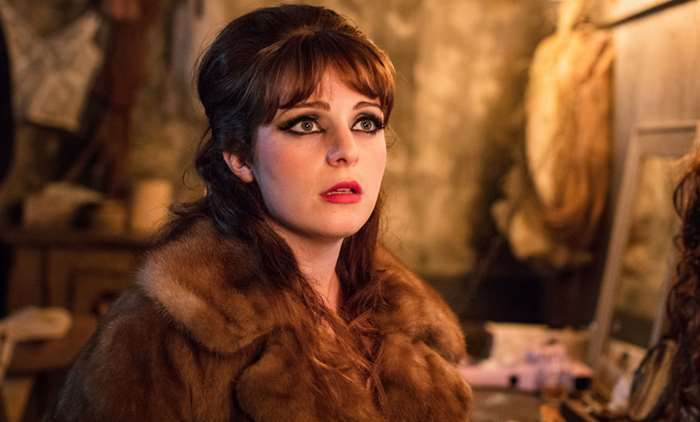 The other major story this episode saw Nadine (Tamla Kari); a stripper in a seedy nightclub, leave her job when she was unable to hide her pregnancy any longer. An illegal backstreet abortion that she'd previously had affected the birth of her daughter however she was later able to turn her life around thanks to a conversation with Valerie (Jennifer Kirby). Assisting Trixie (Helen George) with Nadine's pregnancy was the show's newest addition Lucille Anderson (Leonie Elliott) who arrived at Nonnatus House during the continued blizzards of 1963. I liked the way Thomas introduced Lucille by having her struck down by a bladder infection as soon as she arrived on the job but proving her metal by assisting Trixie before sympathising with Nurse Crane following Ruth's death. Lucille's inclusion in Call the Midwife also allows from some interesting themes to be explored going forward due to her being Afro-Caribbean; an issue that may well cause problems with some of the residents of Poplar. Call the Midwife is more than just a quaint Sunday night drama with Thomas weaving in historical fact with emotional storytelling to create one of the UK's most-consistently engaging dramas. It helps that the show has assembled a superb ensemble cast with familiar faces such as Judy Parfitt and Jenny Agutter playing against less recognisable names. The always-brilliant Linda Bassett shone once again as Phyllis Crane had to hold back the emotion to fight for Ruth's house to be saved until she'd passed away. I loved the interactions between she and Trevor Cooper's Sgt. Woolf with the latter coming good and proving that the East End spirit was still alive between the uniformed professions in the area. Helen George, who has been with the drama since its first episode, also excelled here in a story where her character Trixie was forced to deal with problems in her new relationship with dentist Christopher (Jack Hawkins) and perfectly portrayed the anxieties her character was facing. Providing a much-needed bit of comic relief in this episode was Victoria Yeates whose Sister Winnifred was attempting to get some practical experience in ahead of her driving test. Inevitably though, she was hindered by the blizzards and exasperated some of her comrades due to her inability to get her car to start. I was impressed by what I saw by Leonie Elliott who made a strong first impression despite having little to do as Lucille was hampered by her infection as soon as she arrived in Poplar. But what I did see from the character I enjoyed, with Thomas crafting yet another engaging likeable protagonist which is unfortunately a rarity in most modern British TV drama. 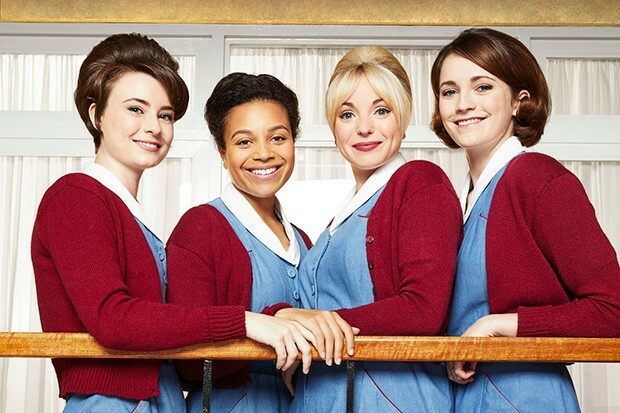 With fantastic scripts, a brilliant ensemble cast who share a fine chemistry and a sense of both place and period; Call the Midwife is one of the best dramas on the box. Although I realise I'm probably not the key demographic, I find Thomas's drama to be one of the most engaging drama series of the last few years and I'm glad to say that it's still going strong after seven years on our screens. One drama that I'm not sure will be around that long is Hard Sun, which is still airing on Saturday nights on BBC One. In a recent interview, the drama's creator Neil Cross talked about how he hoped that Hard Sun would last five series; one depicting each year the Earth has left before the sun gives out. Despite an intriguing central premise, three episodes in and Hard Sun appears to be descending into a violent murder-of-the-week style show with plot lines that are interchangeable with the ones Cross created in Luther. The conclusion of Hard Sun's opener was brilliant in that it gave Cross endless possibilities of themes to explore about the reactions that people would have to the world ending. However, following a government cover-up and calling Elaine's (Agyness Deyn) story a hoax; the approaching global disaster has had very little focus instead acting as an impetus for nutcases to go on murderous rampages. 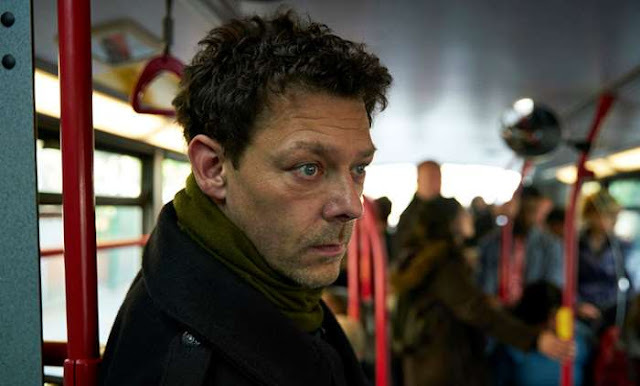 At least in episode three the nutcase was played by the always watchable Richard Coyle portraying Thom; a devout Christian whose work with refugees has left him disenfranchised with the world. Cross has seemingly roped in Luther stalwart Dermot Crowley to play Thom's local priest Father Chapman who was forced to keep his parishioner's secret due to the vow of confession. This was an interesting story and one that I hoped we be explored more but it wasn't long before Thom was trying to hang Chapman and later slit the throat of someone who was trying to curb his lethal activities on a London bus. Elsewhere, Elaine is still trying to prove that the her reckless DI Charlie Hicks (Jim Sturgess) had something to do with the death of his former partner whilst also trying to deal with her mentally disturbed son after his visit from shadowy government official Grace (Nikki Amuka-Bird). I think my primary problem with Hard Sun is that it's a struggle to care about most of the subplots as we never met Hick's former partner Butler so why should we be interested in his potential murder? In fact, Hicks is a rather dull character and Jim Sturgess brings very little charisma to a role that needed plenty in order to explain why he was so popular at the station. Instead I'd like more focus on Elaine, primarily as Deyn is the star of the show in my opinion and is a revelation as the antisocial copper scarred by several traumatic incidents in her past. I think that Hard Sun will ultimately be the proving ground for Deyn who hopefully will move on to bigger and better things after the pre-apocalyptic series has finished its run on BBC One. Because, despite what Cross believes, judging from both the critical and audience response to Hard Sun I don't think it will be returning for one more series, let alone another four. Moving away from our shores briefly, we journey over to Channel 4's foreign drama strand Walter Presents for two Swedish dramas that debuted recently. Firstly, we have Before We Die, a rather violent police procedural following the exploits of recently demoted financial crimes detective Hanna Svensson (Marie Richardson) as she attempted to locate her recently kidnapped married lover Sven (Johan Hedenberg). An opening flashback scene depicts Hanna's arrest of her son Christian (Adam Pålsson) after she discovered that he was dealing drugs; a crime that came with a two-year jail sentence. However, the arrest seems to have cost Hanna both her position in the drugs squad and her relationship with Christian, with the pair having a frosty interaction at her ex-husband's birthday party. Meanwhile, the search for Sven leads to the introduction of two biker gangs; The Mobsters and The Deliquentos, both of whom the detective was surveilling prior to his disappearance. But further investigation by Hanna and her reluctant partner Björn (Magnus Krepper) unearthed that a third party may be behind Sven's kidnapping. Posing as her lover, Hanna then begins to text Sven's mysterious contact Innez who appears to have information that may prove vital. However, one final twist reveals that Innez is Christian who has been posing as Sven's contact at the behest of the owners of the restaurant where he works as a dishwasher. Although I'm a fan of foreign drama, I really struggled with Before We Die and found it really hard to sit through. It took me several tries to complete the opening episode and if it wasn't for this column or the podcast I probably would've given up. The most interesting part of the drama was Hanna's past and Christian's arrest, both of which were brought up in passing but never addressed fully. The opening scene and the pair's interaction at the party were the highlights of the episode but were secondary to the plodding procedural work that was carried out by the detectives. Aside from Hanna, none of the other detectives were given any real personalities whilst the biker gangs came off as cliched antagonists rather than fully-rounded figures. 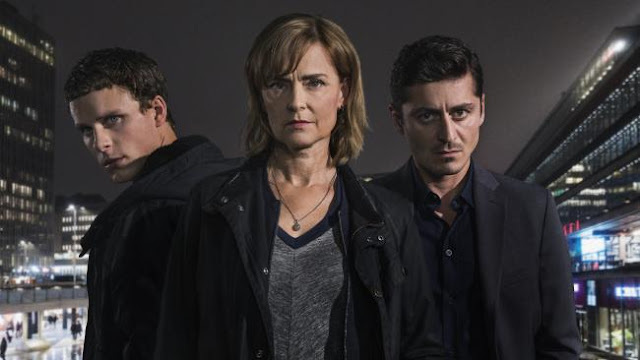 Suffice to say I won't be sticking with Before We Die, a drama that feels like it wants to be a Swedish Sons of Anarchy but is more of just an unremarkable police procedural that never really stands out from the crowd. Walter presented his second Swedish drama of the week on More 4 last Friday with Rebecka Martinsson: Arctic Murders; an adaptation of a series of books by Åsa Larsson. We're first introduced to the titular Swedish lawyer (Ida Engvoll) as she's given a promotion at her prestigious Stockholm law firm where she's currently engaged in a romance with one of her colleagues. However, at the behest of one of her former neighbours, she returns to her hometown of Kurravaara; one of the most Northern towns in Sweden. Here she attends the funeral of Mildred Nilsson; her surrogate mother during childhood and the town's local priest who died following an accident. But, as the title suggests, Rebecka suspects foul play especially after encountering a folder of hate mail that Mildred kept in her office drawer. Rebecka draws on her friendship with local pregnant cop Mella (Eva Melander) to reopen the case into Mildred's death which later becomes a murder investigation. Rebecka stays in Kurravaara whilst the investigation is ongoing and regresses back into a more adolescent state by replacing her powersuits with ill-fitting T-Shirts and expensive champagne with home-made spirits. I found the Arctic Murders to be the dramatic equivalent of the comfortable jumpers that the majority of the residents of Kurravaara were wearing. Nothing about it was particularly surprising and if it was in the English language it could easily have aired on a weeknight on ITV, in fact I wouldn't be surprised if Kurravaara turned out to be the Scandinavian approximation of Midsomer. I didn't think the ninety-minute running time of the drama dragged at all and I was swept up in the beautiful Nordic scenery as well as the charming performances from the ensemble cast. Although Engvoll makes for an endearing lead my favourite member of the cast was Eva Melander whose Mella was a likeable, realistic character who was straight-talking but also cared about those around her. I personally would've like the show to have focused on Mella rather than Rebecka as to me she was the more compelling character. Despite finding Rebecka Martinsson to be an easier watch than Before We Die, it's not a particularly original format and, unless I'm really stuck for something to watch, I don't think I'll be tuning on Friday nights to see what murder the eponymous blonde lawyer will be solving next. Maybe some of you are sick of hearing it by now, but I personally think that this series of Inside No. 9 is possibly the best so far certainly in terms of variety. After last week's clever Memento-style darkly comic murder mystery, we have a much more subdued tale that has the usual twist-in-the-tale that we've come to expect from the show. 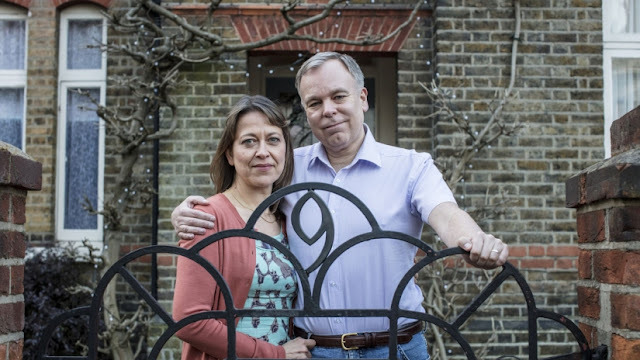 To Have and To Hold feels like Steve Pemberton and Reece Shearsmith's tribute to Mike Leigh as it focuses on the strains in the marriage between wedding photographer Adrian (Pemberton) and Harriet (Nicola Walker) over a handful of scenes. Adrian is painted as the most boring man in the world; a jigsaw enthusiast and pot noodle eater he spends more time in his darkroom than he does working on his marriage. Even though Harriet wants to renew their vows, Adrian is still simmering over a dalliance his wife had with a former colleague in a Premier Inn in Wolverhampton. In the episode's most excruciating scene Harriet attempts to inject some spice into their relationship however their role play doesn't go to plan and is soon interrupted by a recently-wed pair (Shearsmith and Miranda Hennessy) who have come to look at their wedding pictures. What I liked most about To Have and To Hold was the attention-to-detail in the scenes between Harriet and Adrian that added to the realism of the piece. Nicola Walker's casting was a piece of genius and her performance here was utterly heartbreaking as the woman stuck in marriage that had lasted due to habit rather than romance. She and Pemberton were utterly believable in their roles as they convinced as a couple who still loved each other but struggled to show it. I was utterly shocked when the twist involving Adrian was first revealed and as ever the writing duo gradually peeled back the dark side of the character before the dark denouement. Like the best episodes of Inside No.9, To Have and To Hold is an instalment that you can revisit and try to spot all the clues that Pemberton and Shearsmith dropped about the true nature of Adrian's personality. Unlike many of the shows that have debuted this year, every episode of Inside No. 9 has provided memorable moments and that's especially true of To Have and To Hold which may be the best thirty minutes of TV that I've seen so far in 2018. 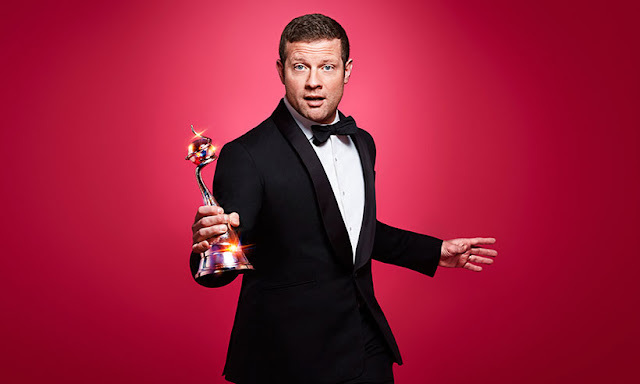 Finally, ITV trotted out their annual back-patting extravaganza; The National TV Awards which honoured the most popular shows of last year, most of which I cared little for. The NTA's has always appeared to be the show where ITV gets to feel smug as their shows all win awards which are voted for by the public rather than snooty critics and TV insiders. However, every year, the NTA proves why the public shouldn't be involved in these sorts of decisions especially when they believe that the final series of Broadchurch was better than the gripping fourth run of Line of Duty. The fact that the show includes a category for Best Judge on a talent show and Best Challenge Programme tells you all you really need to know about the NTAs. Despite the results almost always being frustrating, there's usually at least one memorable segment at the National TV Awards to make them worthwhile. However, this year mainly seemed to be a tribute to those we lost last year whether it be Sir Bruce Forsyth, who now has an award name after him or Leon from Gogglebox. Even the special award, which usually provides a heartwarming tribute to a TV legend, felt underwhelming when it was given specifically to Paul O'Grady to his For the Love of Dogs show. Meanwhile, Sir David Attenborough was given the ambiguous impact award and at least brought some gravitas to an otherwise empty show. Even the usually reliable Dermot O'Leary felt a little bit off with the opening sketch, a spoof on 24 Hours in A&amp;E featuring Suranne Jones and The Supervet, feeling like something that was cobbled together at the last moment. Meanwhile an opening performance from X-Factor winners Rak-Su did nothing to get me hyped for the rest of the show. In fact, the best parts of the awards for me were seeing some of the highlights from the last year whether it be the announcement of the first female Doctor Who or the One Love concert from Manchester. I personally would've probably have preferred to have seen a show of highlights like this from last year in place of an awards show that had pretty much the same line-up of winners as the previous ceremony. Whilst I'm sure it's great for the stars in attendance to get dressed up and have a night on the town, I don't feel like the NTA's feel like they deserve two and half hours dedicated to them on primetime ITV. Once again folks, thanks for reading and I'll to you all again soon.